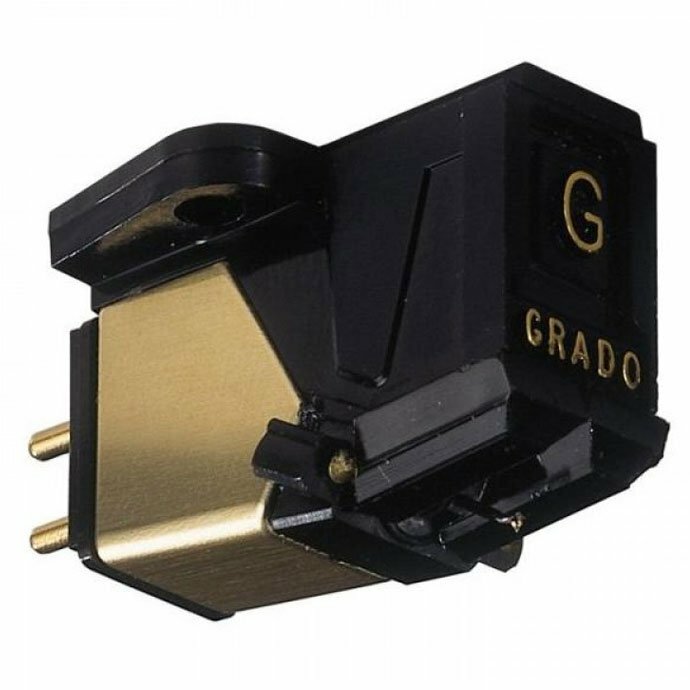 Anyone with a turntable and regularly listening to the records, irrelevant are they old or new, certainly adds attention to the needle of a turntable and takes care of the hygiene of the most subtle part that in the world of turntables means music. At least it should be. No matter what kind of records you listen to, sooner or later the needle will get dirty. It will cover not only with dust but also fat. According to some claims, fringes caused by friction will also be deposited. 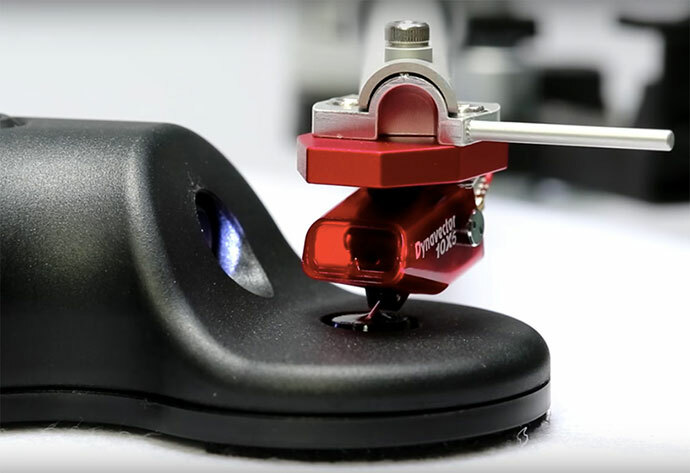 Specifically, the point at which the needle and vinyl tip are touched is about 200 ° C during playback which results in a melting of vinyl, but only at a micro level and with no lasting effects on the record itself. However, everything that is found on the way of that touch point, which is mostly dust, literally burns and leaves a combustion byproduct. This is just a theory and no matter the pile of articles on that subject and all the hard evidence, there is no right base. Combustion or not, what is certain is that the needle will accumulate a new layer of dust and grease on each rotation of the record. A little by little and for a while you have a needle covered with layers of dirt. This is a big problem because you have made it impossible for the needle to do its basic task, touching the slit walls of the record groove. As a result, you have distortion, popping out, crackles, loss of details and other problems. If you notice any of this distortions in the sound, you know what to do. In fact, you need to clean the needle once a week, or at least every 10 records. But also, much depends on what kind of record you are listening to. 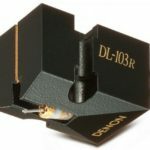 A well cleansed turntable needle, no matter which price class it belongs, can provide drastically better sound results. Needle can be cleaned in several ways, less or more efficient. On the internet you can really read the tone of articles on this topic. Personally, I have not tried everything but from what I am, I would distinguish the one that seems simpler and very effective for everyday use. So you can start out with specially designed bristle hairs. 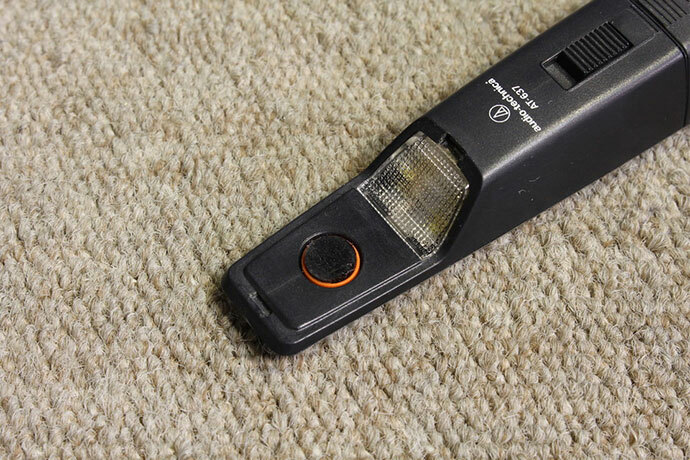 With careful handling (always careful), you can easily remove dust from the needle. However, stubborn deposits will remain, ensuring that new dust on the needle can be expected with the next record. There is also a variant of special liquids and brushes, also with super fine fibers. One such thing I use is super efficient. It is a Lyra SPT (Stylus Performance Treatment), a liquid sold in a 5 ml bottle at a price of about 55 euros. If you consider that 88.2% of the liquid is water, you simply come to the conclusion that you would have to cut about 10,000 euros for this water. And then somebody finds out that public water supply is expensive. The shawl, these 5 ml will be enough for years and years of use. I bought my own for about two years and I have not spent the sixth, and I did not save. However, there is another thing to consider when it comes to needle cleaning fluid. It is important to pay attention to what kind of fluid it is, ie what it is. There are less and more aggressive. If your needle is glued to the cantilever, and you use some aggressive agent, there is a chance that it will fell off it as you melt the glue. If not from the first, in time, for sure. Otherwise, the recommendation, no matter what kind of equipment you use, is not to touch the cantilever, but just the needle, if you have such a quiet arm and a precise eye. There are also special sponges that essentially replace the fibers of the brush. A cleaning agent is also applied to them and the needle is ‘flushed’ in that sponge. Another action that can go wrong in half a second. Something similar to Lyra SPT is offered by VinylStyl, whose special brush is also anti-static. The fluid is placed on the brush and the brush is pulled unilaterally towards the user. And there you need to be very careful not to pull the brush to the left or to the right, or pull back and forth. 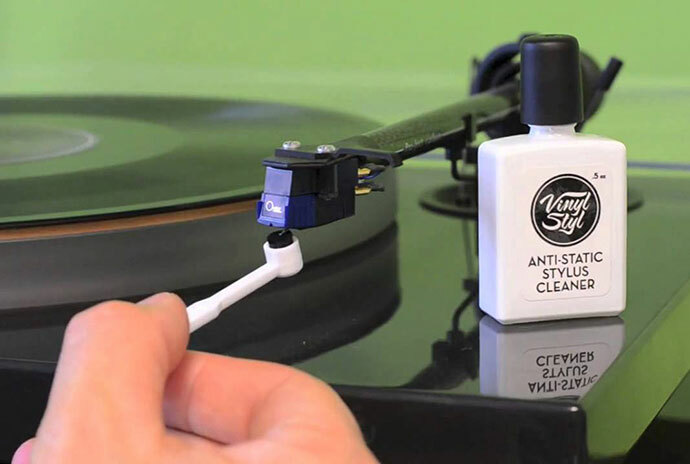 A somewhat more elegant solution is offered by the Flux HiFi Sonic Electronic Stylus Cleaner, which cleans the needle with ultrasound frequencies. On the base of the device, a special fluid is bumped and the needle is lowered. The device, then, with ultra high frequency, literally breaks the needle deposits and removes it. This technology exists since the last century. Among the more popular was the Audio-Technica AT-637. 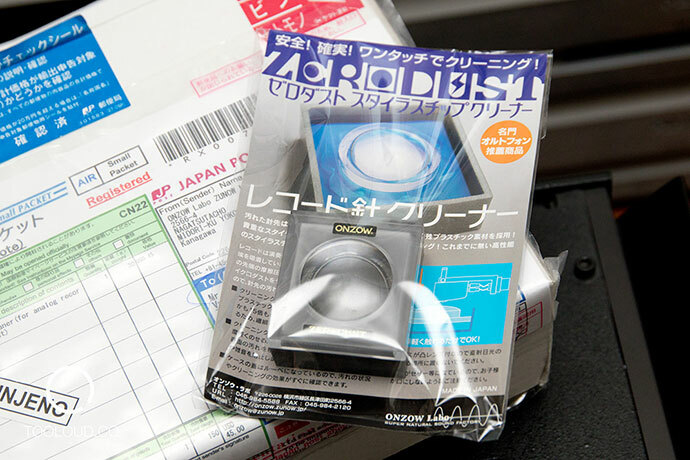 However, in time, there is a suspicion that such devices can damage the sensitive cartridge system due to too high frequencies, so they are somewhat oblivious. Flux HIFI works at low frequencies (though still ultrasonic) and according to statements by many users, a thing works perfectly. However, this unfortunately has its price of about 150 euros. Of course, there are numerous DIY variants. Some genius has discovered that there is a certain kitchen or bathroom cleanser that is in fact ideal for cleaning needles. And then goes writings on the internet forums – you can buy it here and there, but be careful that the box has a blue line on the side. If it has a green, there is a possibility of scratching the entire turntable. But if there is blue, then look for the sponge with a certain density, cut out the cubic centimeter, soak it with the liquid and carefully lower the needle, making sure you wear a protective suit and glasses. You understand, you never do a things as this. 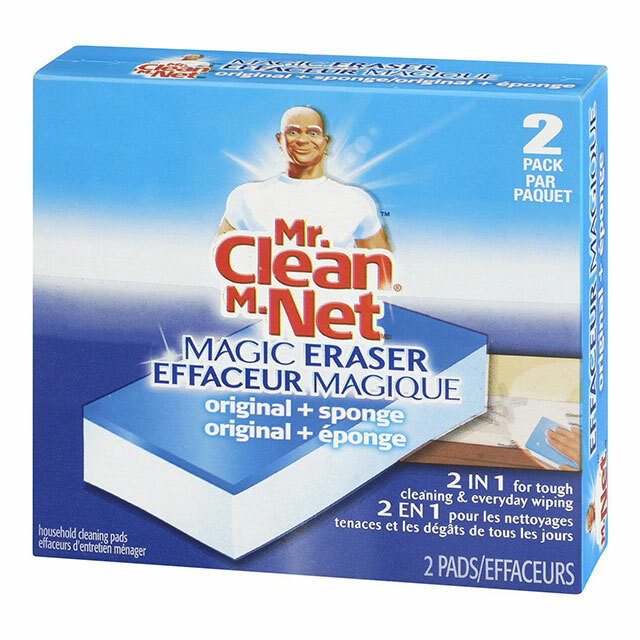 Mr. Clean Magic Eraser – on forums you can find posts as this is a super-efficient turntable needle cleaner, as well as warnings as it is a highly aggressive and risky tool. What seems to me the simplest, and even from the time I did not have a turntable yet, proved to be not only an acceptable price but also a very effective solution. Unfortunately, until I get a better microscope you will have to be satisfied with the photos that are here, but I believe it will serve as a guideline you can expect. It is a polymeric gelatinous material of high elasticity. Once the needle comes in, it literally takes over all the dirt, and thanks to the added chemical, it removes all residues from the needle. The whole procedure is trivial and ridiculously simple. Anyway, I threw a glimpse through the cheap microscope bought on eBay for a couple of dollars and saw the dirt. I set ZeroDust on the plate, lifted the tone arm, placed over the bladder and lowered the needle twice to the top. And that was it! The next look through the same piece of plastic showed that the needle was completely cleansed. I could not see any residue. I even cleaned the needle with Lyra SPT, but there was still no difference in saying that ZeroDust did a very good job. The only thing that is minus at ZeroDust, which can pose a real danger, is to turn the plate by accident while you put the needle on the mixture. Then you risk losing the needle to the side and with a tear in your eyes you say – bye, bye. So be careful! But why would anyone in this world go to turn the plate while cleaning the tunrtable needle ?! There is no fear and benefits are already heard on the next record. I have cleaned needles on two different turntables from my friend. One is a Sansui(very old) while the other is the new Rega P3. It is not difficult to guess which one was in the worse condition. I would even say that the needle on Sansui was not cleansed since a turntable was purchased. Coma. There ZeroDust does not help from the first, so I dumped the dirt and the deposits with Lyra SPT. We could’t get any better results than this in the photo because of the condition of the needle itself. Expected, Rega was in a much better condition, even though the dirt had accumulated. Here ZeroDust did an excellent job and the fine glimpse fell again with Lyra SPT. I am interested what kind of experience do you have with cleaning the turntable needle? Which tools and techniques do you use? Feel free to comment.